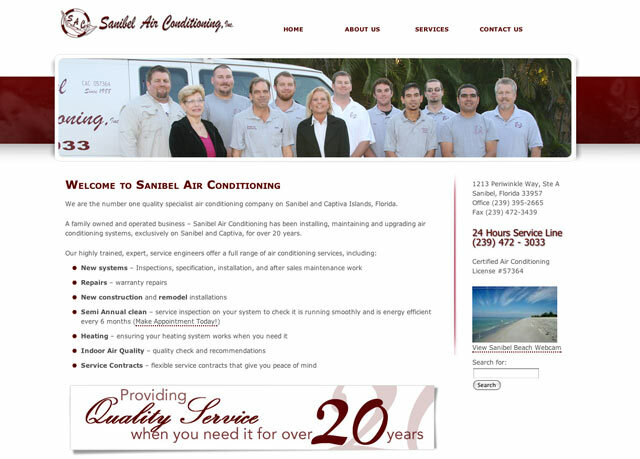 Last week, we completed and launched a new website for Sanibel Air Conditioning, located on Sanibel Island, Florida. The website includes a custom web design, blogging platform and CMS system. It is a brochure style website, simply providing information about the services that Sanibel Air provides, a little about their team, and their contact information.